There was a period, probably for most of 1971 and 1972, when the UBAD Party was influenced by the Black Panther Party, an organization which had been founded and had its headquarters in Oakland, California, but which had spread to all the major American cities. In fact, the Black Panthers had even spread to the United Kingdom, which was experiencing a serious race problem, and also to the Caribbean, especially Trinidad. The Black Panther Party gained national and international attention in the late 1960s because they confronted the police forces in American cities in a way the American police had never been confronted before. The Panthers represented a position which was diametrically opposed to the non-violence and willingness to be brutalized which had been characteristic of Dr. Martin Luther King, Jr. and his Southern Christian Leadership Conference (SCLC) during the civil rights struggle of the early and middle 1960s. The Black Panthers were armed and committed to self-defence by any means necessary. The ruling classes of the United States managed to bring their overwhelming power to bear against the Panthers, and the campaign against the Panthers, masterminded by J. Edgar Hoover’s Federal Bureau of Investigation (FBI), wrote the book on how to wage modern urban counter-insurgency. Many Panthers were murdered by the American police, and the organization was beaten down. In Belize City, the police, in their various organizational manifestations, have been getting out of control, and there is no organization which is educating the young citizens of Belize as to their rights and what they should do when they are accosted by the police. The Black Panther Party had a program of education and advice which they used to publish in their newspaper, and which the UBAD Party used to reproduce in Amandala in 1971 and 1972. Unfortunately, we do not have any copies of our newspaper from 1971 and 1972 in our archives. If any of you readers do, or if any of you have the original Panther education/advice for citizens set upon by the police, perhaps you can make that education/advice available to us for present day publication. I think this is the least we can do to support the effort about to be made by Ya Ya Marin Coleman to publicize, by way of public protest, police excesses in their encounters with the Belizean people, especially young ones. They say that the more things change, the more they remain the same. It is sadly ironic that after all the years of building this media house and creating jobs in a rough and depressed section of the old capital, Kremandala finds itself having to support and publicize protests which have the reining in of the police as their objective. As one of the largest employers on Belize City’s Southside, Kremandala should be in a cosy relationship with the forces of law and order. Ultimately, it is always to the police that the vast majority of us have to turn when we become the targets of crime and violence. The citizens of Belize believe that the police are responsible to us, because we are of the opinion that they are paid by our tax dollars. So that, we see the police as our employees. Unfortunately, it is not as simple as that. 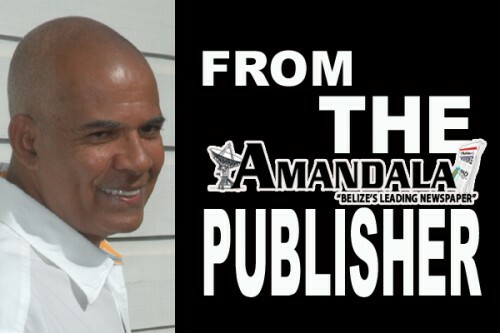 The salaries paid to the Belizean police, who are the only group in the society allowed to utilize legal violence, are small, and the reality is that the business community in Belize City, who are predominantly foreign immigrants, “take care of” the police in such a way as to command their loyalty. You witnessed a classic example of this a few years ago when the Chinese community staged an illegal demonstration in broad daylight in downtown Belize City, and actually marched past the Central Police Station on Queen Street. No charges were made and no illegal demonstrator was arrested. Another aspect of the police reality in Belize today is that the influence of officials and representatives of the United States government is at an all time high. The resources and incentives made available to the Belize police in order for them to give priority to America’s regional war against drugs are considerable. It has reached the ridiculous stage where the Belize police are driving around in pickups with American flags painted on them as they hunt down young weed smokers in the old capital. Belize law enforcement is not only committed to foreign business houses: Belize law enforcement is inordinately influenced by the United States of America. Protesting against police brutality is a special Kremandala responsibility because of our location on Belize City’s Southside. We must therefore give our respect to Ya Ya Marin Coleman for her humanitarian initiative where publicizing police abuse of our youth is concerned. Outside of Belize City, there is a stereotype of our youth which is definitely unattractive. That stereotype is dominated by newspaper and television mug shots of young gang affiliates being charged with all kinds of vicious crimes. Rasta youth, for their part, are dedicated to a righteous way of life, but they fall into the criminal net because of marijuana, and the police do not have time to discriminate between crimes and sacraments. Remember, every time a young cop is sent out on patrol or assignment in certain sections of Belize City, such a policeman fears for his personal safety. Such a cop is agitated; he is not in a normal frame of mind. A few years ago a special police unit was organized to “suppress” gangs. The gangs are, however, products of specific socio-economic environments which have emerged in Belize City after self-government and independence. Belize’s political leaders have some responsibility for the emergence of these specific socio-economic environments. And our thesis has been that you cannot suppress gangs unless you intend to obliterate the environments which spawned them. Gang suppression is isolated rhetoric. What we are seeing is daily attacks on the human populations of depressed neighborhoods. This has become a humanitarian crisis.